Credits listed below are for full attendance at the live event only. Certificates of Completion will be available online after the Symposium after completing the online evaluation form. Please see “live seminar schedule” for full attendance start and end times. NOTE: Boards do not allow credit for breaks or lunch. If your profession is not listed, please contact your licensing board to determine your continuing education requirements and check for reciprocal approval. For other credit inquiries not specified below please contact cepesi@pesi.com or 800-844-8260 before the event. Materials that are included in this course may include interventions and modalities that are beyond the authorized practice of mental health professionals. As a licensed professional, you are responsible for reviewing the scope of practice, including activities that are defined in law as beyond the boundaries of practice in accordance with and in compliance with your professions standards. PESI, Inc. offers continuing education programs and products under the brand names PESI, PESI Healthcare, PESI Rehab and Psychotherapy Networker. ADDICTION COUNSELORS: This course has been approved by PESI, Inc., as a NAADAC Approved Education Provider, for up to 24.0 CE in the Counseling Services skill group. NAADAC Provider #77553. PESI, Inc. is responsible for all aspects of their programming. Full attendance is required; no partial credit will be awarded for partial attendance. CALIFORNIA ALCOHOLISM & DRUG ABUSE COUNSELORS: PESI, Inc. is an approved provider by the CCAPP-EI, Provider #: OS-03-036-1017. This activity meets the qualifications for up to 24.0 CEH’s (continuing education hours). CONNECTICUT ADDICTION COUNSELORS: Provider #120924. This course has been approved as a CCB approved training and has been awarded up to 24.0 hours by the Connecticut Certification Board. COUNSELORS: This intermediate activity consists of up to 24.0 clock hours of continuing education instruction. Credit requirements and approvals vary per state board regulations. Please save the course outline, the certificate of completion you receive from the activity and contact your state board or organization to determine specific filing requirements. NEW YORK COUNSELORS: PESI, Inc. is recognized by the New York State Education Department’s (NYSED) State Board for Mental Health Practitioners as an approved provider of continuing education for Licensed Mental Health Counselors. #MHC-0033. This activity will qualify for up to 24.75 contact hours. Full attendance is required; no partial credits will be offered for partial attendance. *See below for sessions not offering credit. SOUTH CAROLINA COUNSELORS, MARRIAGE & FAMILY THERAPISTS AND PSYCHO-EDUCATIONAL SPECIALISTS: This program has been approved for up to 24.0 continuing education hours by the South Carolina Board of Examiners for Licensure of Professional Counselors, Marriage and Family Therapists, and Psycho-Educational Specialists. Provider #4540. TEXAS COUNSELORS: PESI, Inc. has been approved as a continuing education sponsor through the Texas State Board of Examiners of Professional Counselors. Provider #: 2477. This course qualifies for up to 24.0 continuing education credits. ILLINOIS MARRIAGE & FAMILY THERAPISTS: PESI, Inc. has been approved as a provider of continuing education by the State of Illinois, Department of Professional Regulation. Provider #: 168-000156. Full attendance at this course qualifies for up to 24.0 credits. NEW YORK MARRIAGE & FAMILY THERAPISTS: PESI, Inc. is recognized by the New York State Education Department’s (NYSED) State Board for Mental Health Practitioners as an approved provider of continuing education for Licensed Marriage and Family Therapists. #MFT-0024. This activity will qualify for up to 24.75 contact hours. Full attendance is required; no partial credits will be offered for partial attendance. *See below for sessions not offering credit. TEXAS MARRIAGE & FAMILY THERAPISTS: PESI, Inc. has been approved as a continuing education sponsor through the Texas State Board of Examiners of Marriage and Family Therapists. Provider #: 503. This course qualifies for up to 24.0 continuing education credits. Nurses/Nurse Practitioners/Clinical Nurse Specialists: This activity consists of up to 24.0 clock hours of continuing education instruction. Credit requirements and approvals vary per state board regulations. Please save the course outline, the certificate of completion you receive from this activity and contact your state board or organization to determine specific filing requirements. CALIFORNIA NURSES: PESI, Inc. is a provider approved by the California Board of Registered Nursing, Provider Number 13305 for up to 24.0 contact hours. Full attendance is required. No partial contact hours will be issued for partial attendance. Please bring your license number to the seminar; certificates of successful completion will not be issued without your license number. FLORIDA NURSES: PESI, Inc. is an approved provider with the Florida Board of Nursing, Provider # FBN2858. This course qualifies for up to 24.0 contact hours. PHYSICIANS: PESI, Inc. is accredited by the Accreditation Council for Continuing Medical Education to provide continuing medical education for physicians. PESI, Inc. designates this live activity for a maximum of up to 23.0 AMA PRA Category 1 Credit(s)™. Physicians should only claim credit commensurate with the extent of their participation in the activity. 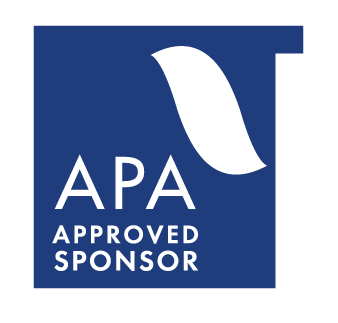 PSYCHOLOGISTS: PESI, Inc. is approved by the American Psychological Association to sponsor continuing education for psychologists. PESI maintains responsibility for this program and its content. PESI is offering this activity for up to 24.0 hours of continuing education credit. Full attendance is required; no partial credits will be offered for partial attendance. *See below for sessions not offering credit. CANADIAN PSYCHOLOGISTS: PESI, Inc. is approved by the Canadian Psychological Association to offer continuing education for psychologists. PESI, Inc. maintains responsibility for the program. This program is approved for up to 24.0 continuing education hours. *See below for sessions not offering credit. FLORIDA BOARD OF PSYCHOLOGY: PESI, Inc., is an approved provider with the Florida Board of Psychology. Provider Number BAP #77. This course qualifies for up to 24.0 continuing education credits. Please make sure to bring your license number to the seminar so that we can report your attendance to CE Broker. *See below for sessions not offering credit. 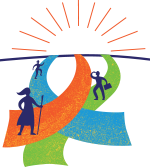 COLORADO SOCIAL WORKERS: PESI, Inc. is an approved provider with the Colorado Chapter of the National Association of Social Workers. Provider #1413. This course has been approved for up to 24.0 continuing education hours. Please make sure to bring your license number to the seminar so that we can report your attendance NASWCO. FLORIDA SOCIAL WORKERS/MARRIAGE & FAMILY THERAPISTS/MENTAL HEALTH COUNSELORS: PESI, Inc., is an approved provider with the Florida Board of Clinical Social Work, Marriage and Family Therapy and Mental Health Counseling. Provider Number BAP #77. This course qualifies for up to 24.0 continuing education credits. Please make sure to bring your license number to the seminar so that we can report your attendance to CE Broker. ILLINOIS SOCIAL WORKERS: PESI, Inc is an approved provider with the State of Illinois, Department of Professional Regulation. License #: 159-000154. Full attendance at this course qualifies for up to 24.0 contact hours. KANSAS SOCIAL WORKERS: PESI, Inc. is an approved provider with the Kansas Behavioral Sciences Regulatory Board. Provider #14-006. This course has been approved for up to 24.0 continuing education hours. NEW YORK SOCIAL WORKERS: PESI, Inc. is recognized by the New York State Education Department’s (NYSED) State Board for Social Work as an approved provider of continuing education for licensed social workers #0008. This activity will qualify for up to 24.75 contact hours. Full attendance is required; no partial credits will be offered for partial attendance. *See below for sessions not offering credit. OHIO SOCIAL WORKERS/COUNSELORS/MARRIAGE & FAMILY THERAPISTS: PESI, Inc. is an approved provider with the State of Ohio Counselor, Social Worker and Marriage & Family Therapist Board. Provider approval #:RCST071001. Full attendance at this course meets the qualifications for up to 24.0 clock hours of continuing education credit. *See below for sessions not offering credit. Thursday Introduction and Warm-Up, Thursday Welcoming Event, 102, 103, 105-110, 112, 113, 312, 521, 607, 618, Friday Dinner Event, and Saturday Dinner Event. Thursday Introduction and Warm-Up, Thursday Welcoming Event, 102, 103, 105-110, 112, 113, 119, 120, 204/304, 211/311, 312, 411/511, 521, 618, 619, Friday Dinner Event, and Saturday Dinner Event.